The Chicago Bears’ iconic navy blue jerseys have been a staple for generations, and fans are going to get a heavy dose of them this season. The Bears will don blue jerseys for their Week 2 game against the Tampa Bay Buccaneers in Florida, and will wear navy for their Week 4 matchup against the Packers at Lambeau Field as part of the NFL’s “Color Rush” program. Last season, the Bears wore blue jerseys and pants for the “Color Rush” campaign, which features NFL teams in unique jerseys during their Thursday Night Football games. Finally, the Bears will wear blue in Week 15 when they take on the Detroit Lions at Ford Field. 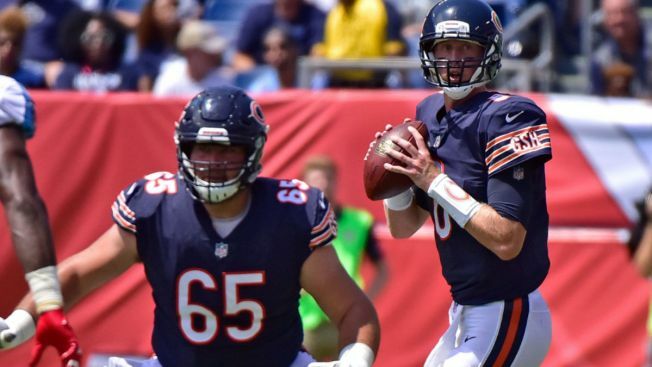 The Bears’ iconic 1940’s style throwback jerseys will be worn in Week 3 against the Pittsburgh Steelers and in Week 11 against the Lions, the team said. Jersey selections are subject to change, according to the Bears.